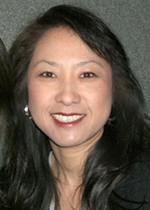 Deborah H. Johnson is a Korean American adoptee and mother of two adult children. She has been an adoption professional for more 25 years, working with adoptive families and adoptees in a variety of pre- and post-adoption settings. Deborah is a nationally known presenter and has been a frequent contributor to Adoptive Families magazine. She is currently CEO and Director of Programs for the heritage travel company Kindred Journeys International. What is the best way to explain to a 3 year old our racial differences, in a way that he/she can understand and be satisfied with the answer? By Jen kate on Monday, April 01, 2013 at 3:34 pm. Can we protect our little child from racism? How? By Jen kate on Monday, April 01, 2013 at 3:35 pm. I call my son “son” instead of his name all the time in front of strangers, in order to show our status right away and prevent stupid comments. Am I acting right? By Jen kate on Monday, April 01, 2013 at 3:39 pm. My daugher’s birth mom is 50% Dominican descent. I guess that would make my daughter 25% Dominican as her birth father is caucasian. I have always wondered what to do about her Dominican roots. Are they stronger than the Irish, Scottish roots? Do I list her as Latina in the census and in school forms? I never knew who and how to ask the question so forgive me if it is awkwardly worded or insensitive to any readers. By MAK on Monday, April 01, 2013 at 3:53 pm. 1. 2 of my children are african-american/hispanic. They see themselves as black, and have no interest in their hispanic background, though we try to incorporate it in a positive light. We don’t have a problem with this, and don’t want to make a big deal of it. Not really any AA/H role models in our community to befriend. Any thoughts? 2. 1 child is Native American/Caucasian; her NA birth parent was also adopted, so no tribal affiliation. We do the usual of incorporating that heritage into everyday life and celebration. No NA role models in our area to befriend. Any suggestions? 3. We find it very hard to find positive role model books and movies on Christian families of non-white ethnicity that are appropriate for our children age 9-16. We want wholesome stories. Besides Ben Carson, any suggestions? 4. Our kids would like to read books and see movies, G rated please, on mixed race families, but we can’t find any. They don’t want trauma sagas, just stories about everyday families doing everyday things like us. Any suggestions? By sharimcminn on Monday, April 01, 2013 at 6:01 pm. My children were born in China. A girl and a boy. As blond, blue-eyed parents, we will miss things. How and what do we need our children to know about racism and how to deal with racism? Will we ever see what we need our children to know? Does this information change over the years for our children? What words do they need to help them? By bavaria on Tuesday, April 02, 2013 at 3:29 pm. My husband and I are Caucasian as are our two biological children, 7 and 5. We adopted our youngest daughter, African-American, at 3 days old. She is now 1. Although we were prepared to recieve comments and meet racism from other Caucasians as a biracial family, we were completely unprepared for the negative comments and attitudes we’ve recieved from the African Americans in our community. How are we supposed to handle this? How do we explain it to our children? By sarah27 on Thursday, April 04, 2013 at 2:58 pm. The truth of the matter is that there are not enough African American families adopting. It is better for children to have a forever family that is of a different ethnicity, than to never have a family. Simple as that. Do prepare your children from racism from every people group - people feel guilty for not doing something about the problem themselves, so they easily blame others, including the well-meaning families that are doing their best to love children. We are all one race - the human race, and are created in the image of God who loves all colors of skin, hair types, etc. By sharimcminn on Thursday, April 04, 2013 at 4:20 pm. It is incredible that an act of love like adoption can cause angry, stupid, mean attitudes. I think it is because, like a mirror, the agressive person can not see in himself (herself) the strengh to do something that noble. By Jen kate on Friday, April 05, 2013 at 2:43 pm. Our almost 7 year old born in Guatemala wants to be white like her parents and brother. I’ve told her that being chocolate is part of what makes her special. She wants to be blond with a pony tail and suspects that one of her friends likes an Indian girl better because she’s “lighter.” Help! By alisonrinehart on Friday, April 05, 2013 at 6:22 pm.